Music is in you! It is a part of our rituals, relationships and expresses our diversity. Music is one of the most powerful forces in the world. 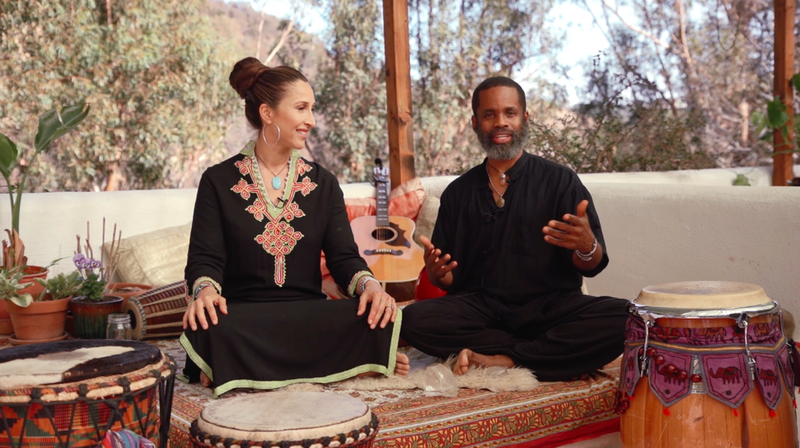 Join Akahdahmah and Sukhdev Jackson along with 17+ top artists and musical activists and discover music through the lens of world-renowned musicians, DJ’s, producers, sound healers, scientists and shamans. From tribal drumming to Jazz, from Devotional Music to Rock and Roll, from Hip Hop to Electronic Dance Music, explore the ways music is experienced in cultures around the world. The Power of Music is available for FREE online from May 19 – 23, 2014! Together we will experience music in a radical way that will inspire change and give you a look into the profound way music affects humanity. We believe music is a powerful catalyst for helping humanity evolve into a more peaceful and understanding global culture. We are excited to offer this empowering conversation to the world. Where: to sign up online click here.